Try not to react today to external irritants, the probability of getting bogged down in squabbles and scandals is too great. Limit your communication with your superiors and colleagues to discuss general issues. 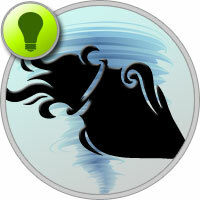 Aquarius career horoscope advises objectively assess their capabilities. Do not get down to business if you are not completely confident in yourself. Better take time to think. The period of passage of Mercury on the sign of Aries is not suitable for discussions. You are subject to the influence of emotions, so you can not convey your thoughts to opponents.